*See below for MoBBallet BONUS MATERIAL not found on dancemagazine.com!! New York City Ballet has an image problem. Despite having the moniker of one of the most diverse cities on the planet, the company regularly comes under fire for its lack of diversity. A perception of overbearing whiteness has plagued the institution, often acting as a cultural barrier for prospective students and audiences. 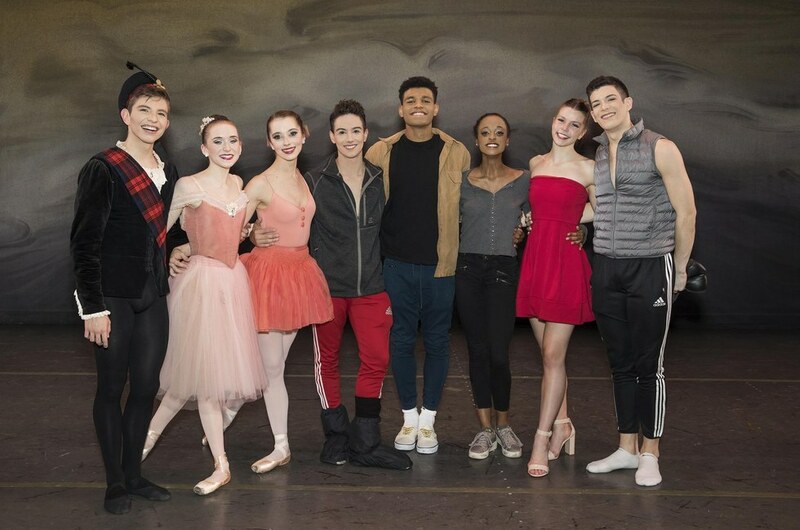 Over the last three years, the company’s School of American Ballet and its diversity team have been working to change this. Since NYCB preserves its Balanchine legacy by keeping everything in house—dancers are hired almost exclusively from SAB, where they are trained by former members of the company—the school is a logical place to start transforming its image. And it’s working. 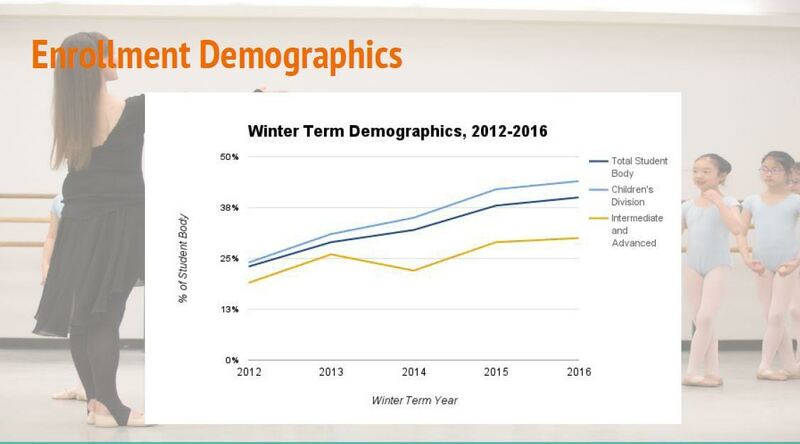 Presently, the children’s division and intermediate/advanced division boasts 44% and 29% students of color, respectively. In addition to broadening audition locations to identify talented students of color, two years ago, SAB launched the National Visiting Fellows Program. Up to five classical ballet instructors with a commitment to teaching students from diverse backgrounds are invited to participate in two week-long sessions during SAB’s Winter Term. They observe classes, discuss pedagogy and curriculum, and have an opportunity to teach in the school then receive feedback. This is an unprecedented amount of access to the often opaque organization. 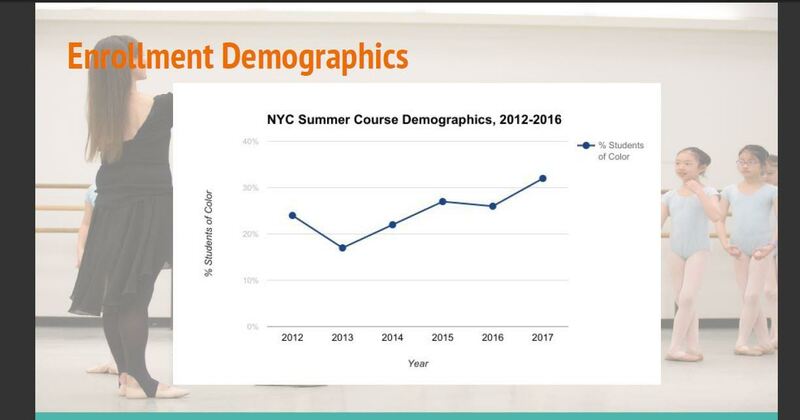 SCHOOL OF AMERICAN BALLET DEMOGRAPHICS – show a steady rise in the enrollment of students of color which raises the chances dancers reaching the upper levels and becoming viable candidates for New City Ballet. The SAB Fellows program is hoping that you will work as agents in training and identifying potential students of color to enter their program, do you feel they are authentic in their desire to create diversity, and do you think this program will be an effective exercise? Robyn Gardenhire: I feel that they are opening the doors not only for people of color all though that is the focus I feel like SAB has had such a reputation of being the highest level you could ever achieve that it scared a lot of people that they don’t even want to try. But I do think they have seen the way society has changed and they are open to see a more divers NYCB. Christopher McDaniel: I do feel that they are authentic in wanting to diversify the student body. However I still believe that the system needs to be altered a bit. IF more people of color were represented in the year round faculty, I believe more dancers of color and their parents would see SAB as a place they can go. My initial thought of this program was that I was sort of auditioning to be on the SAB faculty, but we learned early in the first session exactly what was expected of us. I still feel that this program could be used to specifically train teachers of color who could then join the faculty, or launch satellite programs in cities with a bigger population of people of color. 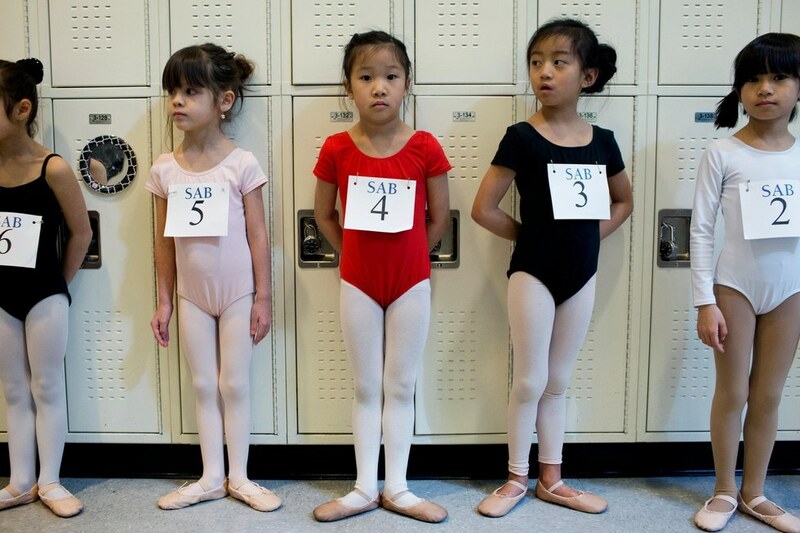 SAB is adamant about only hiring teachers for the school who have danced in the New York City Ballet. This definitely limits and almost eliminates the amount of diversity that can happen in the faculty. I see the practicality in giving us the style/tools and taking it back to our home studios, but, if you’re a teacher under someone else&#39;s school, you run into difficulty with how much you can change the style their dancers are learning. Angela Harris: SAB’s Senior Manager, Diversity and Inclusion, Leah Quintiliano’s door/phone/e-mail has always been open to me from the time I was selected as a Fellow, and she and I have continued to discuss the progress of her efforts. I have been surprised at how open SAB has been in discussing the work they are doing (both their successes and challenges.) Leah’s work is evident by the current audition poster, featuring some of SAB’s lovely students of color. But, of course, it can’t just be about putting dancers of color on posters and social media. The numbers must show a difference, and from what I hear, this summer will clearly show this. But, I think it goes back to what my student said to me about not feeling welcome…the audition poster shows that all students are wanted and welcome…and that is a step in the right direction. What benefits do you see being a SAB Fellow afford you in the future? Robyn Gardenhire: I feel like the name carries tremendous status in the dance world and it gives me great pride to have been asked to participate in this venture, so it has now gone on my bio as well as being able to have my students have the opportunity to audition for free, we have one student going to the West SAB this summer very excited Nandi Shakur 11yr. Christopher McDaniel: A huge benefit is that I now have the information and the keys to train dancers the way SAB wants to see them. I’ve developed connections and relationships with some of the most influential teachers in the country and that will only help me continue to grow as a teacher. Because I am also still dancing professionally, some of the tools and ideas I learned to teach can be applied as I dance. Overall having taught and spent that time at SAB, I now feel like I am a more versatile and marketable teacher. Angela Harris: I am not sure what being an SAB Fellow will assist me with in the future, although I am excited about the possibilities. At the end of our time at SAB, several of my cohort members and I were very interested in continuing to grow a relationship with SAB, whether in a continuation or follow-up to our Fellowship or in other initiatives. Time will tell if something like that develops. I think as more Fellows are accepted into this program, it would be interesting to connect with them, as well. I have nothing but positive things to say about my time as a Fellow. I think having the time to focus and be immersed in your craft is essential, and this program allowed me to do that. Also, the ability to grow diversity programs back in my community has allowed me to mentor and train more dancers to enter the profession. On a recent trip to NYC, I stopped by SAB to say hello, and spent an hour catching up with Leah. During my time as a Fellow, Kristen Barrett, SAB’s Director of Institutional Giving, provided me a list of potential funders for new programs that I could use for Dance Canvas. I feel like both the staff and faculty at SAB are available if I want to stop by, observe class, or meet with them. Can you give me your thoughts on the ballet worlds push for diversity? Do you think that it is authentic? Do you think that there will be change? What is the conversation missing? Christopher McDaniel: My very first introduction to ballet was Dance Theatre of Harlem. So, I grew up thinking that ballet was a black people thing. Obviously as I got older and did more research I learned otherwise. My experience differs from most black dancers who only new white ballerinas. Sometimes I feel like it’s just a fad and everyone is getting caught up in the motions and the “all the cool kids are doing it” kind of feeling. I think the ballet world needs to honestly think about WHY they’re wanting diversity. Is it to really reach and touch as many people as possible? Is it to increase funding and or ticket sales? Do we REALLY want to see companies reflecting the country we live in? I also still feel that dancers of color need to have access to the correct and strongest training. In my experience, I’ve seen predominantly black schools teach subpar ballet teacher too often. So we can take ownership and responsibility in that regard. But, I do feel hopeful that there will be change. I think the only thing the diversity conversation is missing is action. I think it&#39;s time to get more black teachers in the bigger ballet academies and let their presence encourage students who look like them to come to the school. Ballet has to continue to evolve in terms of &quot;the look.&quot; How many directors are willing to put a sugar plum fairy onstage with an Afro or with natural hair that&#39;s too short for a classical bun? 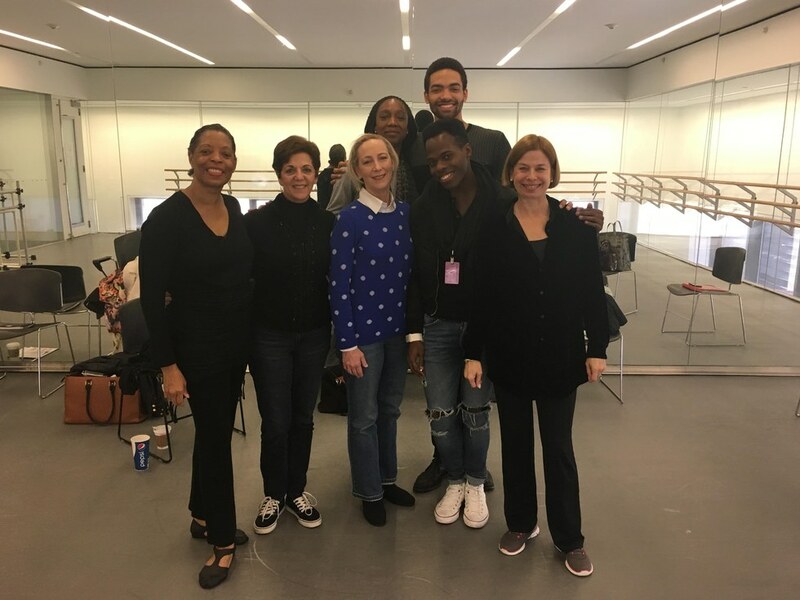 I think those sort of traditional staples in the ballet culture are very limiting to who can participate, but if directors are willing to evolve and really let their companies look like the country we&#39;re in, diversity may not be so hard to come by. 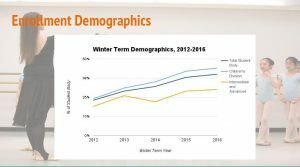 Audience Development: How often is there an all-white audience in a metropolitan city? If audiences are diverse, shouldn’t companies want to make them feel welcome, included, represented, and make the work relevant to them? Without taking the audience into consideration, ballet companies, as a business model, will lose revenue due to missed opportunities for audience development. I don’t know if things will change unless the lens of the Artistic Directors change and/or audiences start demanding more. As a ballet choreographer, I will always look for and cast a diverse group of dancers, because it is important to me. If it isn’t important to the Artistic Directors, it can easily be an unfortunate oversight, and we will continue to have these conversations until we are blue in the face. And the conversation seems to always returns to: “if there is a talented dancer, I will hire her no matter her race”. But, the lens is always there: Until that Artistic Director sees a dancer as beautiful…not just a “beautiful black dancer”… but a beautiful dancer, it will always be hard for that dancer to be hired on merit alone. Public Funding: Shouldn’t public funding insist that professional companies reflect the communities it serves, not just in outreach, but in the artists that they hire? Mentoring…It’s tough out there, and sometimes being the “only” is very lonely and isolating. I know I had a tough time at some of the companies I performed with, and I had my friends, who were going through the same thing with other companies, but having someone older to help/advise would have been priceless. Authenticity: I am unfortunately always skeptical…it’s so easy to jump on the marketing bandwagon, and view diversity as a trend (**an Artistic Director once told me that “diversity is a funding trend”…I walked out of the office). I think that if companies genuinely want all of their audiences to feel welcome and represented on their stage, we will begin to see that sentiment authentically reflected in their actions, hiring practices and programming.